The weekend is nearly here, and that means it’s time to start planning. 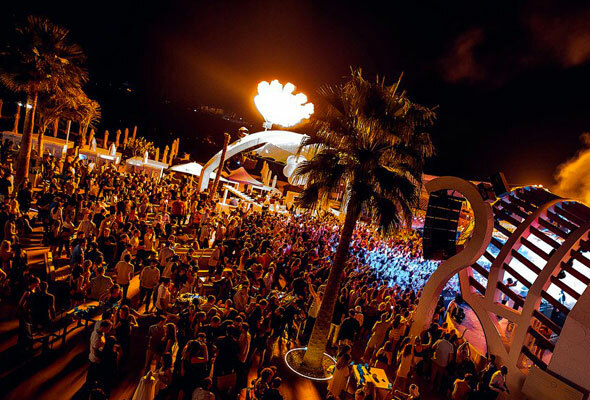 As well as live music, there’s extended happy hours, top DJs, nostalgic 90s bands and pet-friendly BBQs. 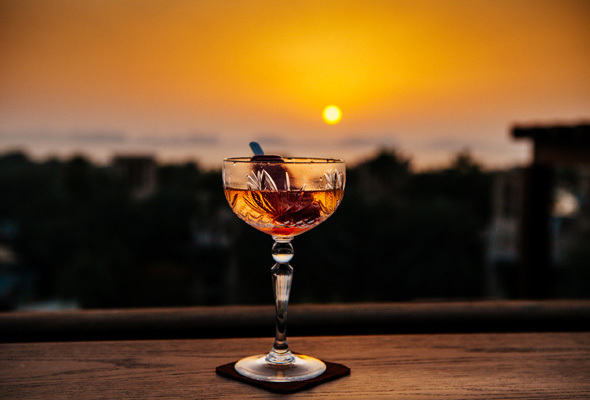 For those who feel like carrying on the weekend, folly by Nick & Scott have just added an extra two hours to their daily happy hour as part of their Summer Sundowner offer. The signature Prosecco Pop (an ice lolly served up in a glass of prosecco) and cocktails including the Sunset Sling, Patron Passion and Folly’s Fruit start from Dhs35 from 3pm to 9pm. It’s worth going up to the rooftop even just for a few moments to get some Insta shots. Dance and techno icon Marco Bailey is set to headline the season closing of Decibel this Thursday. Taking place from 10pm at ON42, it’s free entry for all before 11pm, or Dhs175 after including one drink. 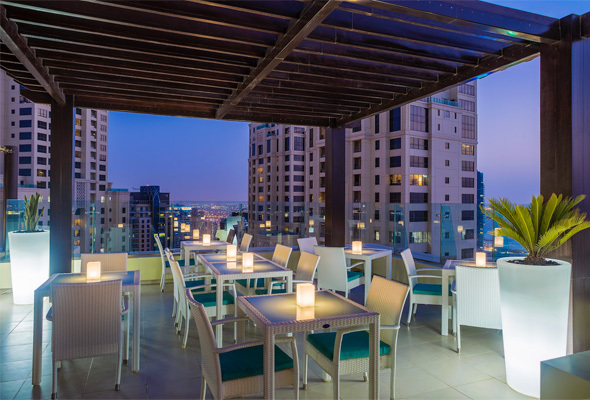 Pure Sky Lounge has launched a themed Asian evening every Thursday. For three hours, enjoy Asian street food dishes such as chicken yakitori, vegetable kimbabs, and Indonesian nasi goreng for a very reasonable Dhs150 per person. 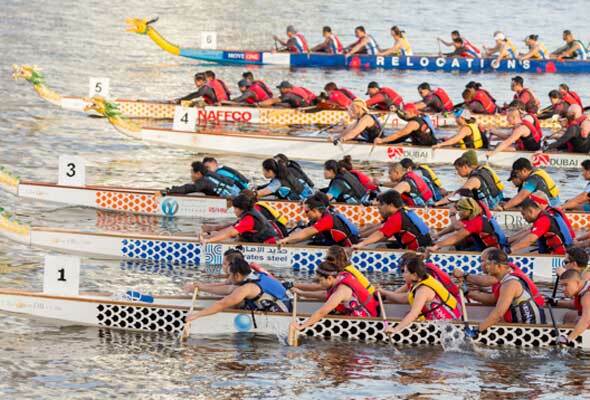 As many as 60 teams will paddle for glory at the 2018 Dragon Boat Festival taking place for the first time in Ras Al Khaimah this weekend. The annual water-racing event takes place across the 1km stretch of the Ras Al Khaimah creek, hosted at Hilton Garden Inn. Teams for the event will consist of up to 20 people and bring together corporate, university, schools and community groups from across the UAE. Each team is supplied with a dragon boat, all necessary equipment and two hour-long training sessions with a seasoned expert. The Big BBQ Social is back for its second season, and with it comes an afternoon of tasty smoked meats and plenty of space for your furry friends to run around and socialise. 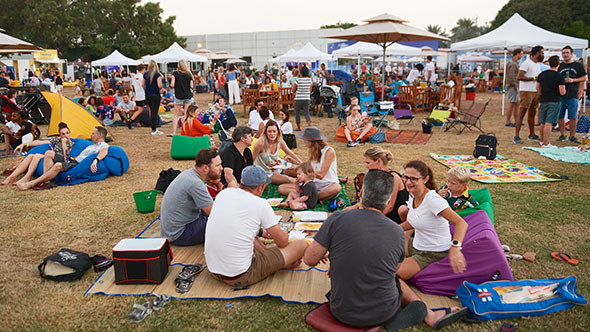 Taking place at The Secret Garden, Jumeirah Creekside Hotel on Friday, there will be a pet play zone manned by professional staff where your pets can make some new friends, or a ‘Pamper Zone’ where scruffy pooches can get a much-needed makeover. Award-winning DJ Fatboy Slim returns to Dubai for an all-day dance music festival on the sand this Friday at Zero Gravity. As a solo artist, Fatboy Slim, aka Norman Cook, has played to millions around the globe. 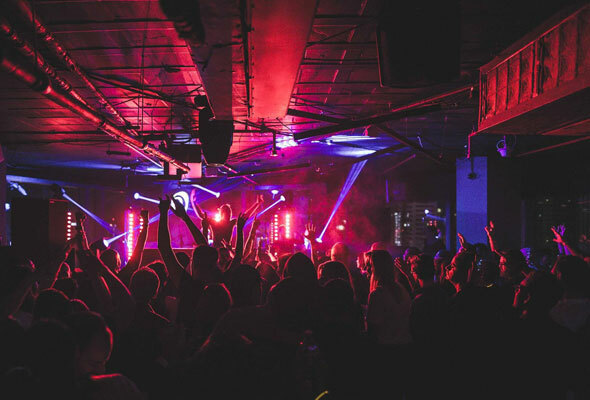 Slim will be supported by bass-driven house music band Gorgon City and mash up masters A Skillz and Krafty Kuts. 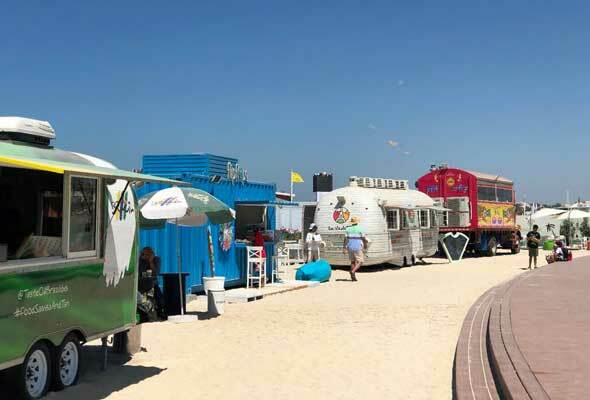 A beach festival brunch package is available from 1pm to 5pm for Dhs350. Dubai Outlet Mall is hosting a free community health and wellness event from April 26 to 28. Taking place in partnership with leading healthcare, wellness and fitness providers in the region, visitors will be able to take advantage of fitness classes, vision and dental check-ups and nutrition consultations. As part of their 20-year celebration, ‘90s pop band Steps are bringing their anniversary tour to Dubai Opera. The British five-piece will perform a single-date concert this Friday, with the venue transforming into a flat floor gig space for the occasion. 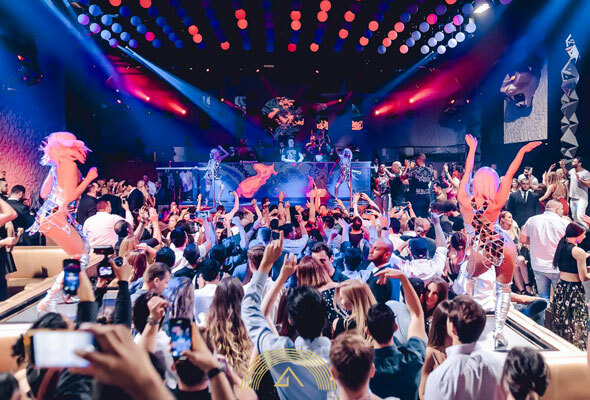 Set to perform this Friday, Solomun will bring his signature mix of deep house sounds, funky baselines and emotionally charged vocals to swanky new nightlife venue, Gotha. And if seeing a top deep house DJ wasn’t enough, Gotha is also offering free drinks for ladies from 11pm to 1am on the night. Do you know what a fragrance note is, let alone the difference between a top, middle and bottom one? During this workshop – which includes prosecco and finger sandwiches courtesy of Ritz Carlton JBR – you will not only learn the technicalities of perfume making, but also have the opportunity to blend your very own perfume to take home. 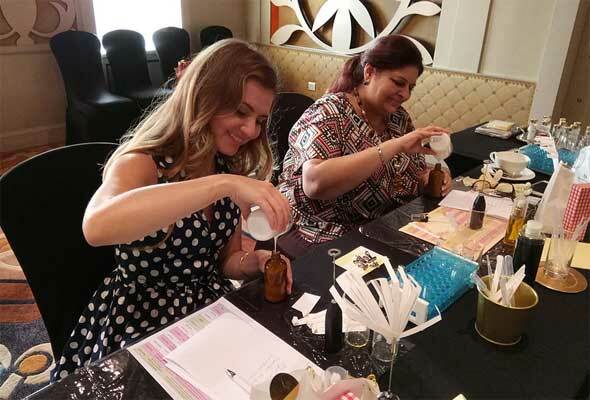 Melanie Jane is an aromatherapist and perfumer in Dubai who will teach about exotic and rare oils, extraction methods, fragrance families and the basics of crafting a perfume. 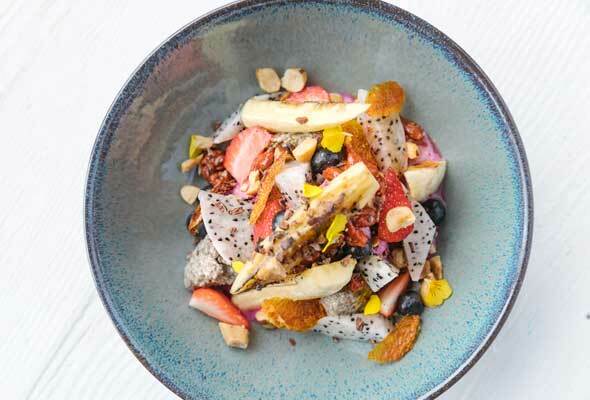 Three of our favourite neighborhood cafes – Tom&Serg, Common Grounds and The Sum Of Us – have created some limited-edition healthy summer beach bowls just as the weather heats up. Try something light and fresh like the ‘red dragon fruit bowl’ at Tom&Serg or the ‘sunshine bowl’ made with mango, banana, pineapple, turmeric, blueberry, passionfruit, granola, chia, coconut, raspberry by Common Grounds. Prices vary, and they’re only available for a limited time. Tom&Serg, Common Grounds, The Sum of Us, prices vary. Blues master Jay Abo will perform an intimate set at the newly opened Mediterranean spot, Belong this Saturday. The three-hour gig starts at 8pm, so bag yourself a table in the lounge to ensure you get a front-row seat. 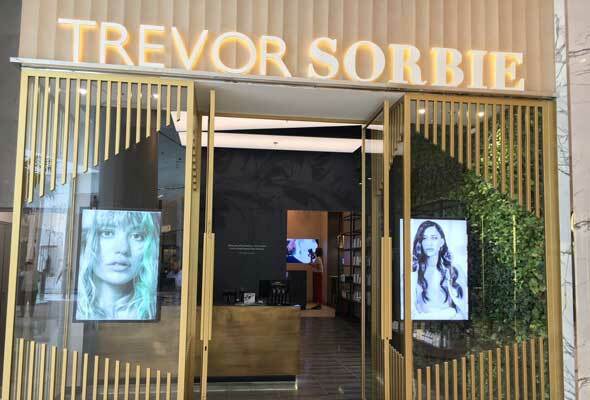 Renowned celebrity stylist Trevor Sorbie is one of the best in the business, and he’s just opened his first Middle Eastern salon in the Dubai Mall. The ladies-only salon, equipped with 20 styling sections, five backwashes and a separate lounge for refreshments will offer services including wet and dry styling, cutting, specialist coloring as well as beauty treatments of eye lash extensions and nail artwork. 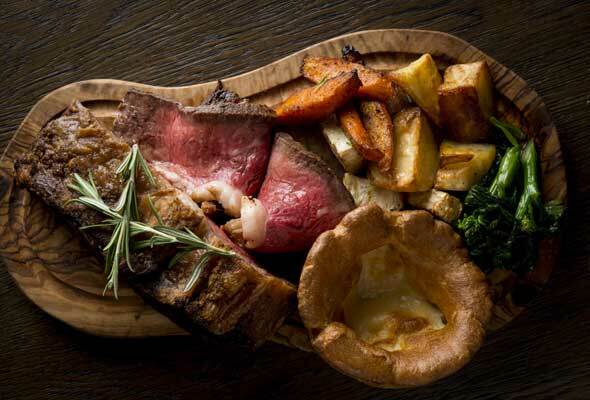 Bread Street Kitchen is introducing Gordon Ramsay’s Roast Revolution to Dubai, offering a Saturday roast with all the trimmings for Dhs135 per person between 12pm and 4pm. As well as the individual roast offering, Bread Street Kitchen has also launched a new ‘Host My Roast’ dining option, which is available for groups of six or more to enjoy a group roast for just Dhs750. Fried chicken fans, KFC will be unveiling something new this weekend down at Kite Beach. It comes with free food and live entertainment between 1pm to 3pm. 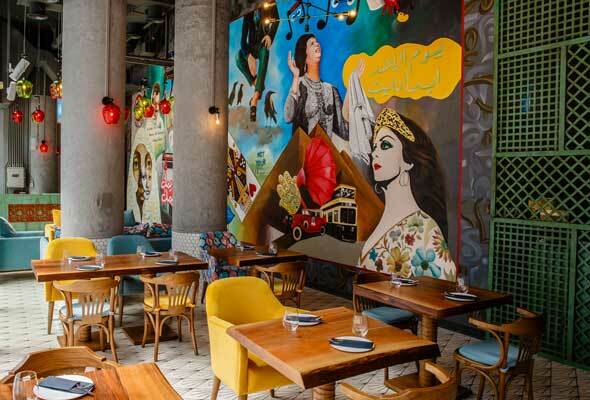 Today is the last day of InterContinental Hotels Group’s Signature Food Festival, which offers discounted set menus across 50 of its restaurants in Dubai and Abu Dhabi. 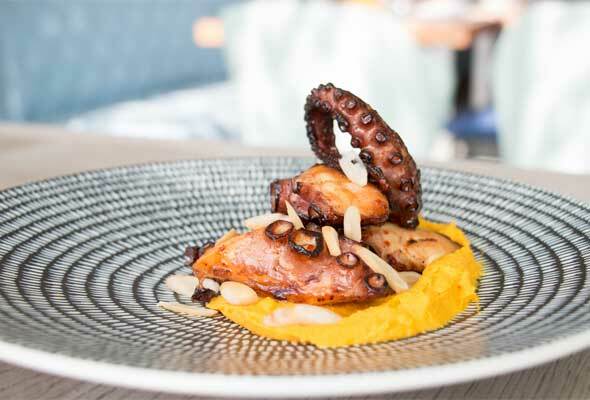 In Dubai, restaurants taking part include Marina Social and The Fish House, with menus starting at Dhs149 per person.